This year ushered in a change in how many Americans enrolled in the food stamp program and how much the government spent on it. Enrollment in the Supplemental Nutrition Assistance Program (SNAP) declined by 4.6 percent in the past year, and the cost of maintaining the program also declined, according to U.S. Department of Agriculture (USDA) data. There are several reasons for this shift that have to do with the economy, as well as policies at the state and federal levels of government. Here are seven reasons why 2017 ushered in this food stamp turnaround. An estimated 1.3 million fewer Americans are receiving food stamps since President Donald Trump’s inauguration in January 2017. According to the latest data, SNAP enrollment decreased by 3.2 percent, or 1,368,288, since January. With the exception of August 2017 when Hurricanes Harvey and Irma struck Texas, Florida, and parts of Louisiana, SNAP enrollment has been on a steady downward trend since Trump took office. The amount of money the federal government spends to maintain SNAP fell to a seven-year low at the end of 2017, when it spent an estimated $68 billion on the program. The last time government spending on SNAP reached that low of an amount was in 2010 when it funneled $68.2 billion into the program. The latest USDA statistics on SNAP participation show that 42,182,443 people in the U.S. on average took part in the food stamp program in fiscal year (FY) 2017. Enrollment in the program steadily declined after 2013, when enrollment in the government program swelled to 47.6 million—the highest amount it has ever been since former President Lyndon Johnson authorized the creation of food stamp program in 1964. 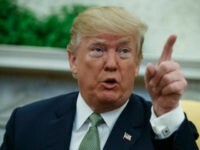 President Trump said he would make it a priority in his administration to get able-bodied adults back to work and off welfare at the federal level when he announced his 2018 budget, and his administration announced in December the creation of several initiatives that would drive SNAP program costs down at the federal and state levels. The USDA announced this month that they would give state agencies more control over administering SNAP as one way to curb costs of the multi-billion welfare program. If the administration continues to promote more initiatives like these, it will be very likely that food stamp costs and enrollment will continue to plunge. Because the economy in most states has improved since the Great Recession, state lawmakers are also trying to get people off the food stamp rolls and back to work. During the Great Recession, food stamp usage soared because many Americans struggled financially. The Obama administration passed a stimulus bill in 2009 that allowed states to apply for waivers from regulations put in place before the recession requiring able-bodied adults without children to work. The Obama-era regulations caused food stamp usage to soar over the years. Now that many of these waivers are expiring and the economy is better, some states are trying to ease people off of food stamps and help them get back to work. Maine bucked the trend by passing legislation in 2014 that would require the state’s food stamp recipients to work, but it was not until 2016 and 2017 when other states caught on to this trend. States such as Georgia and Alabama have implemented laws requiring food stamp recipients to work at least 20 hours per week, enroll in school, or take part in state-approved job training if they receive benefits for more than three months. One of the main reasons Americans are getting off food stamps is because the unemployment rate has hit a record 17-year low. The 2017 unemployment rate has hit a record low of 4.1 percent, the lowest it has been since 2000. Because the economy is strong and many people are able to find employment, the need for government assistance has diminished. The unemployment rates among blacks and Latinos also hit record lows. The Latino unemployment rate is 4.7 percent while the black unemployment rate is 7.3 percent—the lowest it has been in 17 years. The USDA announced this month that the agency is testing a program in Arizona aimed at reducing instances of food stamp fraud. 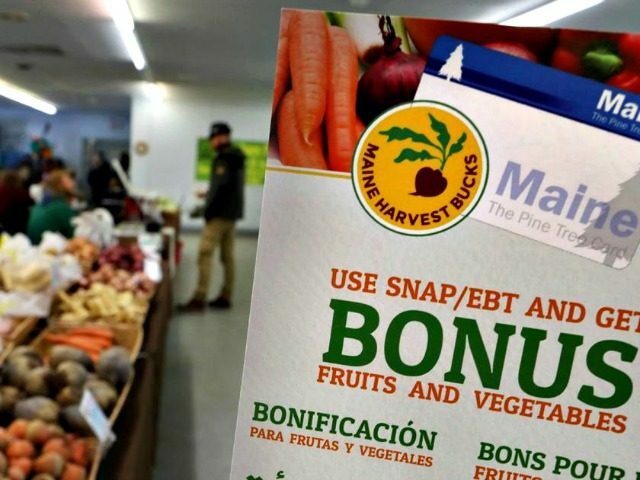 While the Trump administration is curbing instances of food stamp fraud through official means, the administration’s push to combat illegal immigration also had some unexpected consequences on food stamp enrollment. Many immigrants, both legal and illegal, canceled their food stamps over fears they might be denied citizenship or deported, although there are no exact numbers on how much this has affected enrollment because much of the accounts are anecdotal.